The militant ubiquitous elements have undermined the global security and the entire world is left at the mercy of terrorism. Non-combatants bear the brunt of insurgency – especially in Afghanistan. The Taliban, IS militants and some other 20 international terrorist networks which are the product of ideological fundamentalism have posed greater threat to Afghanistan people and even that of the world. Combating terrorism should change into an international issue. The world should know that only a military deal and approving strict law regarding those involved in militancy will tackle the security crisis. In his first address to the United Nations Security Council, National Security Advisor Hamdullah Mohib on Monday said Afghanistan urgently needed peace, but the success of the process with the Taliban in Afghanistan would not mean an end to the threat of global terrorism, as the phenomenon still threatening the region and world. NSA said the peace process must be inclusive and representative of the new Afghanistan, not a deal made between elites. “If peace is going to belong to and be maintained by Afghans, it must ultimately be owned by Afghans themselves.”Mohib told UNSC that the Afghan government and the Afghan people had made commitments to peace and now it was up to the Taliban to prove their commitment. “They (the rebels) have so far failed to seize opportunities for peace. Yet we stand ready to engage in direct talks. If the Taliban genuinely want peace, they should demonstrate it through positive deeds, not by continued attacks against innocent people and our security forces.”He said the Afghan people have time and again, gone to the polls to reinforce and strengthen their belief in democracy. Indeed, the Taliban should know that their militancy campaign won’t bear any positive result, rather would further deteriorate the situation and they would be further isolated. Government of Afghanistan has firm will to intensify counterinsurgency attacks on militants. Therefore, Taliban should know that only direct talks with Afghan government could result to lasting peace. 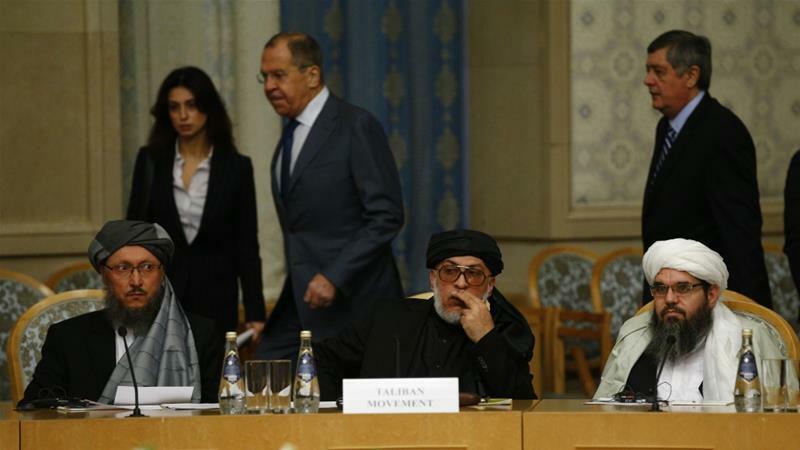 Holding talks in Russia and Pakistan are no longer in the interest of Afghan nation but would serve the interest of neighboring countries and those willing destabilized Afghanistan. As per NSA Mohib’s remarks, Afghanistan would simultaneously maintain military operations and would implement reforms to strengthen the National Defense and Security Forces besides perusing peace process. He said the Afghan security forces had not only held ground, but they solidified control of territories and weakened pockets of enemy contingents, including Daesh elements in the eastern and northern parts of the country. Therefore, the most effective way to deal with terrorist networks is to unite the countries of the region, especially the powerful actors, to take a multilateral approach in their foreign policy cooperating with the war on terror, in order to achieve a credible outcome. Using all means of pressure against terrorist supporting countries, UNSC member states can root out the terrorism and establish a safe and secure area benefiting all countries. Ensuring the integrity and stability of the region, in particular Afghanistan provides a comprehensive development ground for the interests of all regional countries, while war and conflicts will threaten the interests of all nations.